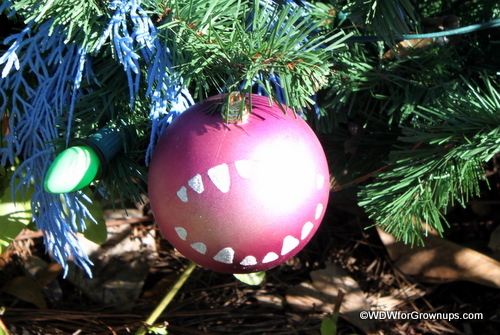 In Part 1 of our Animal Kingdom Camp Minnie Mickey Character Trees series, we checked out the trees of some furry critters: Chip 'N Dale and Pluto. In Part 2 we peeked into the world of The Lion King and Finding Nemo. 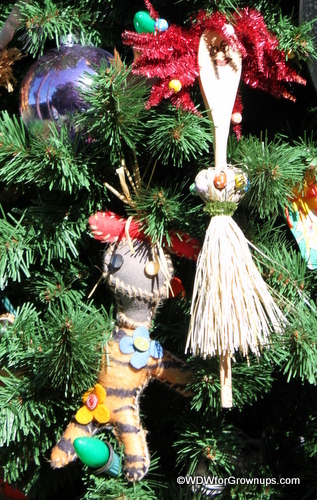 And in Part 3 we visited the trees of Mickey and Minnie themselves. 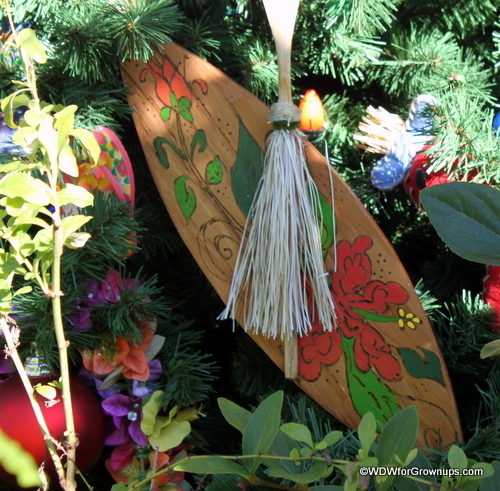 Now, we're off to check out the character trees of that famous Hawaiian duo, Lilo and Stitch! 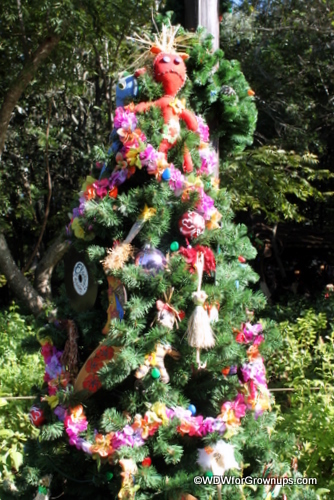 Lilo's tree is full of her favorite things: surfboards, rag dolls, leis, and Elvis records! Meega nala quista! 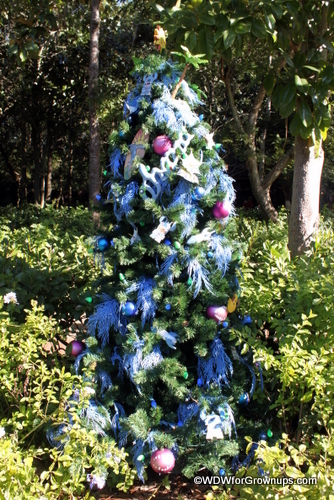 It's the Stitch tree! Stitch says, "Ohana means family. Family means nobody gets left behind, or forgotten." What's the first thing you think of when you think of Stitch? Yeah, me too. Teeth! 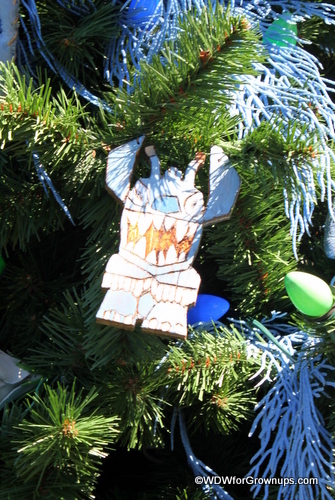 And here's a cute wooden ornament of Stitch himself. These are wonderful. Where are they located? Oh how cute is all that? 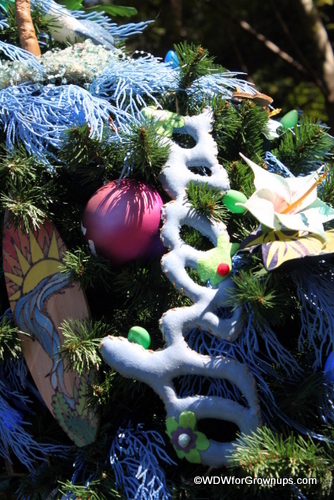 Next time we're there for the holiday, we're staying longer and hitting all the parks!